Here at Aston Shaw’s Corporate Finance department, customer satisfaction is our top priority. Recently, a client has been faced with a particularly challenging financial dilemma. 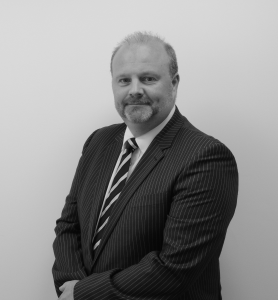 Justin Lavery, Head of Corporate Finance, managed to use his knowledge and experience to solve the client’s issue as painlessly as possible – ultimately putting the client’s mind at ease. As an SME with three staff members, any savings made have a real impact on the business and its future. Funding for the business was substantially high: The lender’s rates were high from the offset, but with the prospect of further increases on the horizon, the client was forced into a difficult situation. Interest rates had risen from 0.4% to 0.7% and monthly repayments had almost doubled. The lender was delivering a poor service: After being supplied with no information by the lender and numerous failed attempts to get in touch, the client was left feeling unvalued. Not being taken seriously by the lender: The client felt that they didn’t really matter to the lender, due to the fact they were a small business. This was having a devastating impact on the client’s relationship with the lender and was the tipping point that prompted the client to contact Justin. The key contributing factor to the success of any business is the relationship between the client and the business. Strong client relationships not only promote business retention but also boost conversions through client referrals. Justin’s major priority is achieving the client’s specific requirements. Justin spent time with the client to fully understand their situation and shortly after he began looking for the best deals that could be arranged on short-notice, to reduce any unnecessary expense. Various funders checked: Justin, through his vast experience and networks, chased banks and lenders to find the most economical and beneficial deals for the client. Justin acquired a number rates and brought five lenders to the client. He did this in a very short space of time, all to the client’s benefit. Factoring houses approached: Justin also extended his search to factoring houses to ensure that no possible deal was overlooked. Original lender contacted: The existing funder was persuaded to reevaluate the offer by comparing it to other potential funders. This was also done to ensure that no more time would be spent finding new deals as time was of the essence. Client presented with best options: The client was given competitive rates from a choice of 5 funders. The list contained all the finer details of their offers to the client. The best offers were clearly brought to the client’s attention by Justin. Renegotiation: Offers with the original funder were renegotiated, this meant that the least amount of time was spent sourcing funding. We have been extremely delighted with the service afforded to us since we changed to Aston Shaw. The advice given us by Luke and Chris has surpassed anything we had received from our previous accountants. We would have no hesitation in recommending Aston Shaw to anyone who would require accountancy services. I speak also for my Son Stephen and his wife Tracy (Tracy is our company secretary) who are on holiday at this moment in time.